Stay On Top Of Your Game With The HDJ-X10 , Designed With Input From Professional Djs To Serve You In Every Circumstance, From Festivals To Clubs. 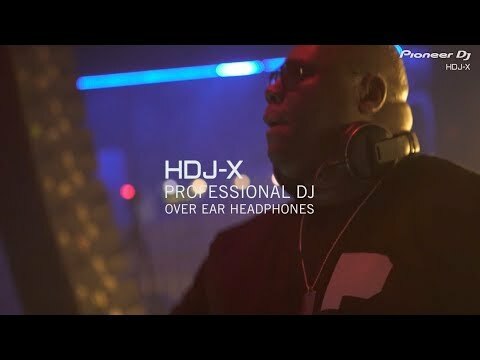 The HDJ-X10s Are The World’S First Dj Headphones1 To Produce High-Resolution Sound Ranging From 5 Hz To 40 Khz, Allowing You To Hear Frequencies Other Dj Headphones Can’T Reproduce. Make An Even Deeper Connection To The Music. The HDJ-X10 Headphones Are Equipped With Our New 50-Mm High Definition Driver, Making Them The World’S First Dj Headphones To Reproduce High-Resolution Sound From 5 Hz To 40 Khz. The Direct Drive Structure, With A Newly Developed Diaphragm Shape And Voice Coil, Delivers High Quality Sound Without Loss Of Quality Due To Mechanic Loss. Creating Rich Bass Notes And Clean Mid-To-High Frequencies, The Flagship Headphones Enable Accurate Point Source Monitoring Even At Loud Volumes, And Allow You To Make A Deeper Connection With The Music.